NO painfull irritation from wearing metal braces. NO waiting for up to 2 years to get the smile you want. Get the smile you want, right now! 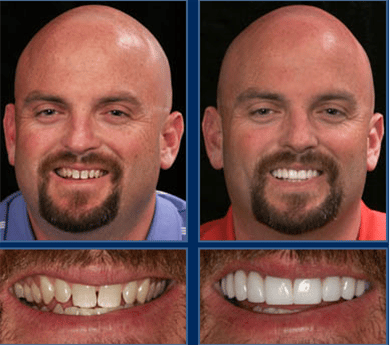 Austin Cosmetic Orthodontics are an easy, instant alternative to Invisalign and traditional metal braces. 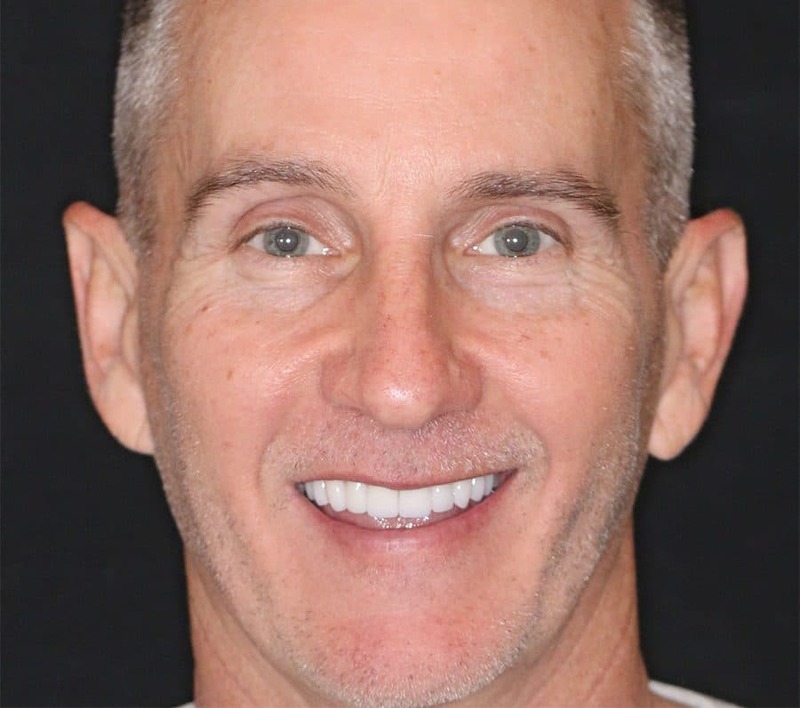 At The Cosmetic Dentists of Austin we can correct nearly any smile imperfection using beautiful, natural looking, porcelain veneers. And we can do this in just 2 visits, in just 2 weeks! Unlike Invisalign and braces, Cosmetic Orthodontics gives you both straight teeth and a beautiful bright smile at the same time, without extensive visits or extended treatment times that can last years. Also unlike clear braces or Invisalign, you can eat whatever you want and there’s nothing to take in and out of your mouth each time you eat. 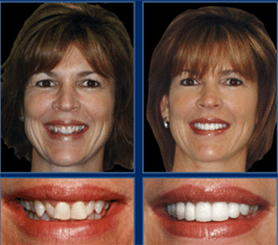 By using porcelain veneers The Cosmetic Dentists of Austin can correct practically any smile imperfection. 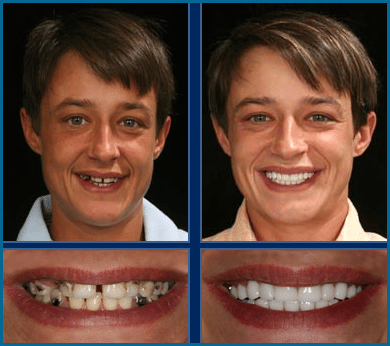 If you are unhappy with the appearance of your teeth and smile, if you have crooked teeth or gaps between your teeth, cosmetic orthodontics provides one of the best, fastest solutions to correct these issues. Cosmetic Orthodontics will give you bright, white, straight teeth that will make you look great and feel more confident in social settings. Another added benefit is that nothing gets stuck to your teeth, as occurs with wire braces. With cosmetic orthodontics, you can eat and drink what you want, when you want and there is no pain from sores or discomfort from wires, brackets or tooth movement! This is an ideal solution for adults and teens. Straighten your teeth in just 2 visits, in just 2 weeks, with Cosmetic Orthodontics at The Cosmetic Dentists of Austin. Invisalign or clear braces require the use of aligners (clear plastic trays) that are worn over your teeth for an extended period of time. Depending on your teeths’ positioning, it can range from 6 months to 1 year or more. The plastic trays or clear braces must be used daily (at least 22 hours per day) and in some cases, other devices, which are attached to your teeth, sometimes referred to as buttons are used. Buttons are plastic or metal brackets that serve as anchor points for elastic bands (rubber bands). You cannot eat with clear braces, they must be removed at every meal. Although, Invisalign or Clear Braces are presented as an easy alternative to traditional braces, they aren’t as easy or seamless as you might hope. Invisalign or Clear braces may cause some pain from tooth movement. Braces are an orthodontic treatment performed by an orthodontist, used to reposition/straighten your teeth. Braces consist of metal brackets being glued to your teeth and tied together by wires and tiny rubber bands. They cannot be removed, so there is no temptation to leave them out, so less self-discipline is needed for success than with Invisalign. In addition to their visibility (metal typically silver), braces may cause some pain, sores or discomfort from wires, brackets or tooth movement. Braces may also cause some tooth discoloration and difficulty eating sticky, hard foods. Correct broken, chipped, or cracked teeth. Fill unsightly gaps and spaces between teeth. Correct severely stained or dark-colored teeth that won’t respond to normal whitening. Correct bite and alignment problems that you may have been told would require oral surgery. Your new teeth are extremely strong and durable and will never stain. Even if you drink colas, red wine or use tobacco. Every Smile Makeover is backed by our amazing Last Time You Pay policy. No waiting and suffering through years of orthodontic appointments and miserable braces. This is an ideal alternative for anyone who is considering Austin orthodontics with traditional metal braces or Invisalign and clear braces. Porcelain veneers are thin shells of tooth colored pircelain that are permanently bonded to the front of your natural teeth. These shells (as thin as a fingernail) are custom fabricated to close spaces, cover stained or dark teeth and mask chips and broken teeth. Call us today at 512.333.7777 for your complimentary consultation, dental appointment, or if you just want more information about our Smile Makeovers in Austin Texas.